All told, I spent $8195.66 in July. Yeah, eight grand. No big deal. Seriously, though, like I said in my last post, Taxes and Vacation (the cash, the gas, the repairs, and Sesame Place) define this month (and the current month too, unfortunately) as outside of those two annual “events”, most of my spending was, well, pretty much normal. 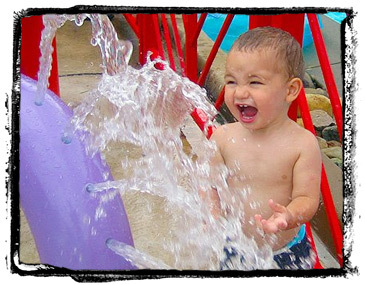 Did you know it costs $59 to get a toddler into Sesame Place? I mean, seriously? Further, did you know that having a AAA membership will save you $3 on admission? Yeah, that membership is totally paying for itself this year… Ugh. That said, as something to do in between countless hours in the car, Sesame Place, while expensive, was a great side trip. We all had a lot of fun. Even so, making a long rant super short (I can’t help myself), one of the front wheels on my lawnmower is wonked out so that it’s not really perpendicular to the ground anymore. The only way to access the nut holding the cheap plastic wheel on was with a long socket rachet thingie (I’m not a tool fanatic, so I don’t know what it’s really called), which I obviously had to buy. So, after purchasing it and taking the contraption apart, I realized that the front wheels of my lawnmover aren’t even on an axle. It’s almost like it was designed to function like the latest Batmobile or something so… basically, my problem isn’t even fixable without a lot of metal work (and more money) on my part. Metal work that I most certiainly won’t be doing on an old push lawn mower. Seriously, though, why isn’t it just an axle with two wheels attached? I love that you put in a $3 coke. I don’t know why, but seeing that on the list next to a $1000 day care bill cracked me up. It is pretty funny, I know, but on that note, I love, love, love, love, love that vedning machines (and parking meters) are finally accepting credit cards. Otherwise detailed expenses like this would be forever lost… mixed in under the ambiguous “cash” heading… And that’s no fun, right?